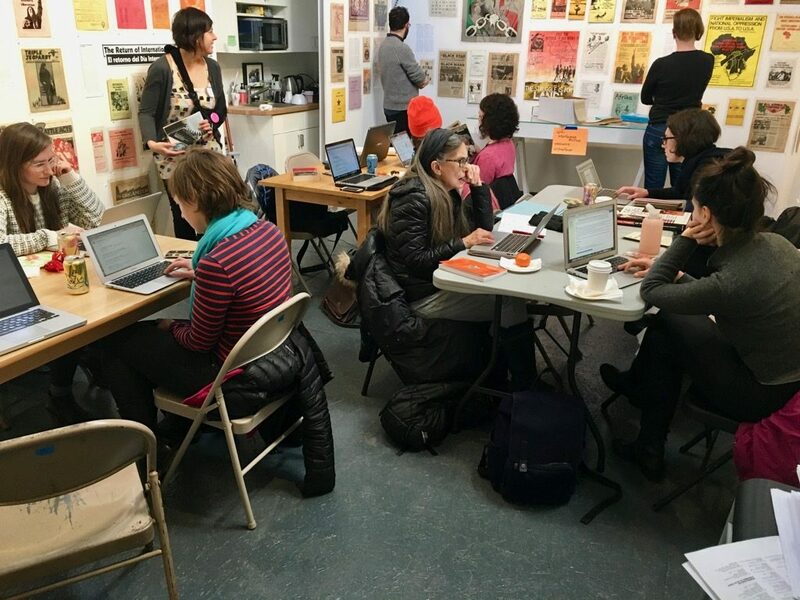 Thank you so much to everyone who joined us on March 12th for our Art and Feminism wikipedia edit-a-thon! We used material from the Interference Archive collection to add more information about women artists to Wikipedia. A dozen people spent the afternoon at the archive editing articles about artists including Jane Norling, Wanda Telakowska, Susan Simensky Bietila, Kati Horna, Ann Pibal, Laura Gilpin, Nell Dorr, Dana Densmore, Anne Brigman, and Ilse Bing. We also added to articles about RAT Subterranean News, Printed Matter, the Beehive Design Collective, Women Artists News, Wall of Femmes, and more!